VACON® 100 INDUSTRIAL is full of features and dedicated for a wide range of constant power/torque applications. The easy-to-use and robust motor controls improve the reliability and efficiency of all AC motor types, including induction and permanent magnet and synchronous reluctance motors. Integrated RS485 and Ethernet interfaces support all major industrial protocols making VACON 100 INDUSTRIAL easy to incorporate into all major control systems. The built-in PLC functionality enables integration of new functionality into the drive. Functional safety is improved with Safe Torque Off, which prevents the motor from generating torque on the motor shaft, Safe Stop 1 and ATEX-certified motor over-temperature protection. 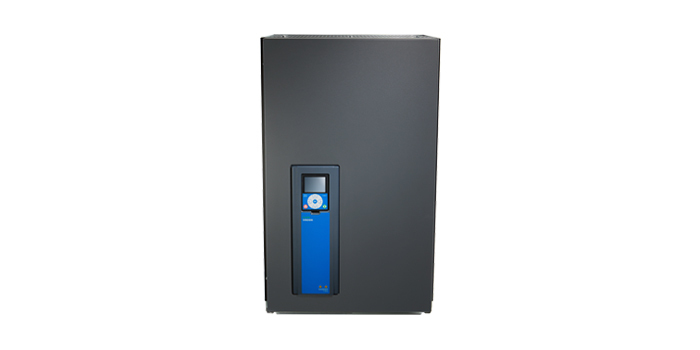 The wall-mountable drive modules are easy to install and operate, and the enclosed drives are provided with a wide range of integrated options. Fans, pumps, conveyors, compressors, steering gear, chippers and extrudes.